I wached the television program"Giants of beauty". 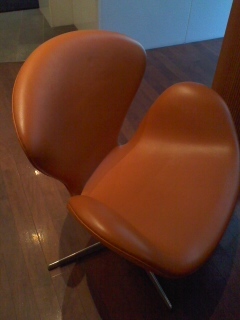 "Jacobsen's chairs" were introduced by this program . 先日　なにげに　テレビを　つけたら　衛星放送「美の巨人たち」という番組で　前回　力丸潮ブログで　紹介した　椅子の三大巨匠の一人　アルネ・ヤコブセンを　特集していたので　びっくり! I like to read the book that relates to the interiar. This book is written about the chair. The severe hot days continue in Japan. 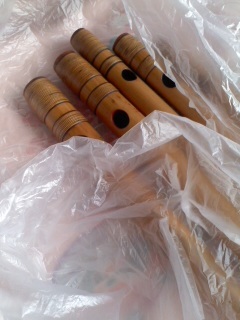 The condition of my Japanese bamboo flutes are bad due to the terrible heat. 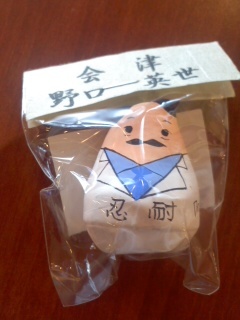 This photograph is a doll of Dr.NOGUCHI. 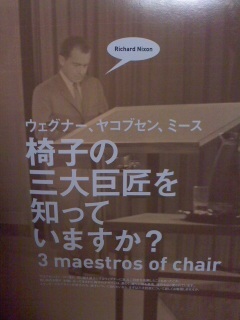 NOGUCHI Hideyo was born in Fukushima. I want the parasol when I go out. In Japan, the woman has the parasol but the man doesn't use them. 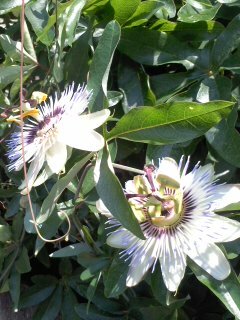 Therefor I think the man want the parasol in this summer. We can see a lot of greens though here is Tokyo. 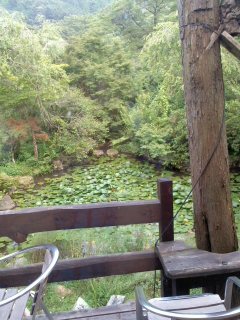 I can enjoy myself over tea in this coffee shop while seeing the water lily. そして　私の　おすすめは　喫茶店ゆばから　歩いて　10分くらいの場所にある　石薪窯パンの店「麦・muji」青梅市富岡3-885 tel 0428-74-4525 ここのパン　おいしいでっす!!! クッキーも　絶品!!!!! !